Bendix Spicer Foundation Brake’s ADB22X-LT air disc brake now is offered by trailer maker Hyundai Translead. The company noted it is the lightest air disc brake available in the market and has up to a 23,000-pound brake rating. 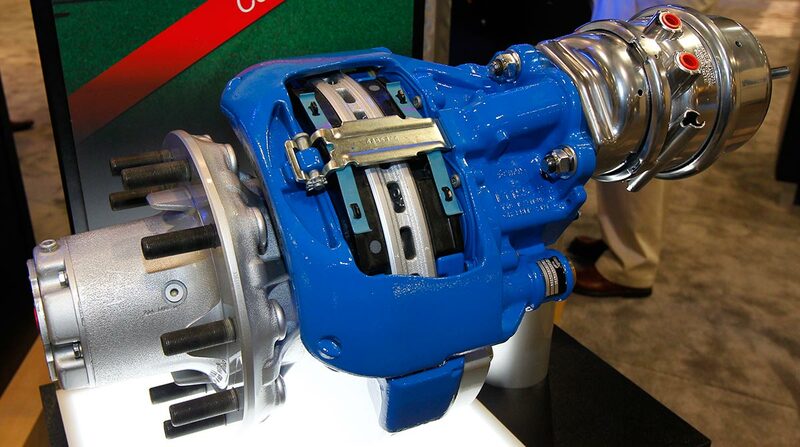 The brake is engineered exclusively for trailers, and Bendix Spicer unveiled it in September. The model advances the design of Bendix’s ADB22X, which is spec’d on more than 85% of Classes 6-8 wheel-ends in North America that are equipped with air disc brakes, the Elyria, Ohio-based company said. The ADB22X-LT features a new brake pad, the Bendix BX276, which delivers 8% more wearable volume and up to a 40% improvement in wear rate compared with previous pads, combining to extend the service life beyond current air disc brake pad standards, the company said. “The advantages of air disc brakes are well-recognized across the industry, but the trailer market brings a different set of challenges and demands than tractor applications,” Keith McComsey, director of marketing and customer solutions for Bendix Spicer Foundation Brake, said in a statement. Bendix Spicer Foundation Brake is a joint venture of Bendix Commercial Vehicle Systems and Dana Commercial Vehicle Products.